Sporting controversies are a regular occurrence, with FIFA the latest household name to find itself at crisis point following corruption charges. Football’s governing body has so far chosen to handle comms in-house, with Walter De Gregorio, comms and public affairs director, taking responsibility for the emergency press conference. De Gregorio's attempt to mitigate the situation by portraying FIFA as the victim in this case has not gone down well with crisis PR professionals – with some labelling it as "arrogant". Taking advice from his agent Aidy Ward, Liverpool winger Raheem Sterling chose to give a televised interview with the BBC to address speculation surrounding his contract negotiations. Sterling's decision to confirm reports he had turned down a £100,000-a-week contract to stay at the club alienated the majority of Liverpool fans and drew criticism from ex-professionals. "It's not about the money at all. It's never been about money. I talk about winning trophies throughout my career. That's all I talk about," Sterling explained. "I don't want to be perceived as a money-grabbing 20-year-old." Sterling got into hot water with the club after Liverpool manager Brendan Rodgers confirmed the player had breached the comms policy. "There was no permission from the club, it was something that surprised us all to be honest. But he is still learning, he will make mistakes," the Reds boss said. At the club’s end-of-season awards ceremony, despite being awarded the young player of the year prize he was also subjected to boos by some of those in attendance. Despite the interview appearing to be a disastrous decision in the short-term, it could ultimately help Sterling secure a lucrative move away from Anfield. He currently has two years left on his contract and numerous high-profile Premier League clubs and even Spanish giant Real Madrid are said to be interested in signing him. After over a decade of denials, lawsuits against reporters and former staff members who tried to blow the whistle on doping within cycling, Lance Armstrong finally decided to come clean after speaking to friends and advisers. The world’s best known cyclist ended up confessing all to Oprah in an exclusive no-holds-barred interview in January 2013. Armstrong admitted to taking banned substances including EPO as well as using blood doping and blood transfusions to improve his performance during all seven of his Tour de France title wins. However, instead of mitigating the damage, his decision to tell-all was counterproductive. The first public poll after the Oprah interview showed that he had lost almost all public support. Only 21 per cent of Americans polled thought that he could restore his reputation. The decision to come clean about doping also had severe financial ramifications. Armstrong had already been abandoned by all sponsors, losing an estimated $75m (£45.5m) in a day when USADA stripped him of his titles. After the Oprah interview in 2013, the former Tour de France winner faced lawsuits from multiple parties including the US Justice Department, which attempted to recoup sponsorship money that had been paid out by the US Postal Service. During a follow-up interview with the BBC in January 2015, he stated that he would "probably do it again" but also admitted that his behaviour was "unacceptable [and] inexcusable". Most recently, Armstrong and Tailwind Sports were ordered to pay $10m (£6.5m) in a fraud dispute with a promotions company SCA relating to fraud for covering up use of performance enhancing drugs. The New England Patriots quarterback Tom Brady was involved in one of the biggest NFL scandals ever after it was alleged that footballs used by his team had been tampered with. The NFL launched an investigation after allegations were made that the Patriots used suspiciously under-inflated footballs in an American Football Conference Championship game against the Indianapolis Colts on 18 January 2015. This game was played two weeks before Brady and his team eventually won the 2015 Superbowl. The multi-time Most Valuable Player denied any involvement in the deflated-balls scandal in a 30-minute press conference held on 22 January. Brady, who is well known for being picky about his game balls, said: "You go through that process of breaking the balls in and getting comfortable with them. I choose the balls that I want to use for the game and that’s what I expect to find on the playing field. "I don’t like that this is taking away some of the accomplishment of what we achieved as a team. I would never do anything outside the rules of the play." Unfortunately for Brady, the denials didn't appear to work. Investigators concluded that it was "more probable than not" that the New England Patriots personnel intentionally deflated footballs and that Brady himself was probably aware of this. The league suspended the NFL star for the first four games of next season, fined the Patriots $1m and took away two draft picks. Brady’s agent has appealed the decision, stating a four-game suspension was "ridiculous and without legitimate basis". Golfing superstar Tiger Woods had his clean-cut image destroyed after he was embroiled in a huge infidelity scandal. In November 2009, things escalated quickly when a leaked story suggested that he had been cheating on his wife, Elin Nordegren. She was able to confirm his infidelity by seeing messages on his phones between him and other women. In a fit of rage, she allegedly used a golf club to chase him out of their house and induced him to crash his Cadillac Escalade into a fire hydrant and a neighbour’s tree. Woods and his team acted reasonably swiftly to carry out damage limitation. He released a statement admitting "transgressions" and announced a break from professional golf. However, his admission of infidelity led to several companies dropping him. Accenture, AT&T, Gatorade and General Motors ended their sponsorship deals, while Gillette and TAG Heuer stopped their advertising with him. Golf Digest suspended Woods’ monthly column. Nike and Electronic Arts were the only two companies that continued to support him. In December 2009 it was estimated the scandal involving Woods had cost shareholders between $5bn (£3.3bn) and $12bn (£7.8bn). 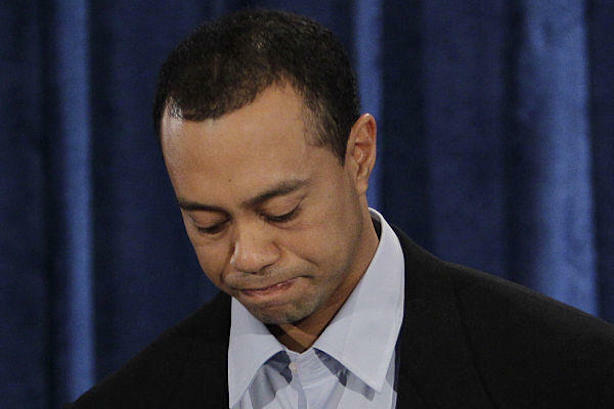 A press conference was held in February where Woods apologised for being unfaithful to his wife. He said: "I was unfaithful. I had affairs. I cheated. What I did was not acceptable." "I knew my actions were wrong. But I convinced myself that normal rules didn't apply... I thought I could get away with whatever I wanted to. I felt that I had worked hard my entire life and deserved to enjoy all the temptations around me. I felt I was entitled. Thanks to money and fame, I didn't have to go far to find them." The apology helped to mitigate loses for Woods to a certain extent as he now earns approximately $54m (£35.1m) in endorsements – albeit half of what he made pre-scandal. Perhaps more significantly, he has not won a major tournament since.